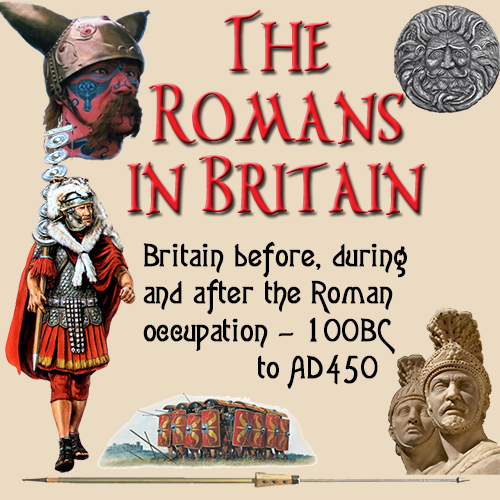 One of the reasons given for the invasion in 43AD., was that the Romans wanted to plunder Britain for it's vast mineral deposits. The Roman Empire was consuming metals of all sorts at an enormous rate. Not just for the military machine, but also for the manufacture of coins and silverware. Scouts sent to spy out the country had reported back that Britain was rich in lead ore, one of the prime elements in the manufacture of silver. Once installed in Britain, they began to exploit the mines to their fullest extent. 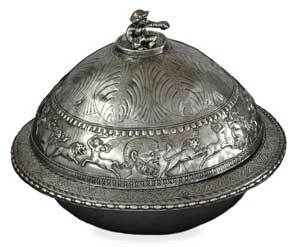 With this new found source of base metals, the Romans could satisfy their increasing demand for metal products, especially in the lucrative silverware market. Considering the limited tools the craftsmen worked with, they managed to produce incredible standards of design and quality. 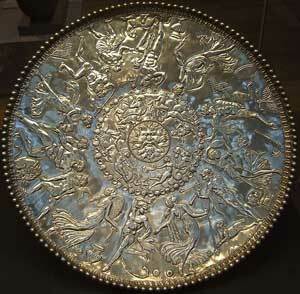 No article on Roman silverware can be complete without mentioning the Mildenhall treasure. The mid fourth century was a time of change and turbulence in Britain and indeed throughout the Roman Empire. It is presumed that a wealthy family, probably landowners, had decided to move to another safer part of Britain. This must have been arranged in haste, as they did not have enough time to pack all their valuables and transport them to the new location. So they decided to bury them instead in a field and return to collect when the situation was more stable. Of course the troubles in Britain multiplied and they never managed to recover their possessions. So they lay undiscovered for the next 1,600 years. 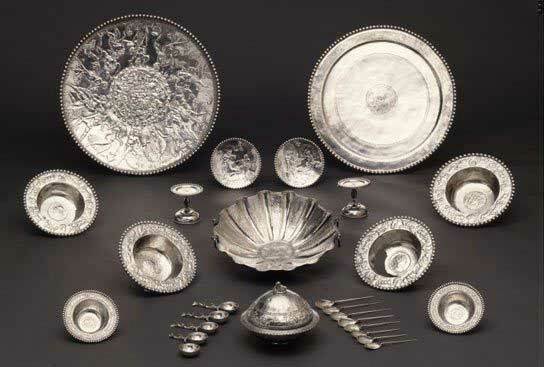 The Mildenhall Treasure is a major find of highly decorated Roman silver tableware from the fourth-century AD, found at West Row, near Mildenhall in the English county of Suffolk. It consists of two large serving platters, two small decorated serving plates, a deep fluted bowl, a set of four large decorated bowls, two small decorated bowls, two small pedestalled dishes, a deep flanged bowl with a deep, domed cover, five small round ladles with dolphin-shaped handles, and eight long-handled spoons (cochlearia). The hoard was discovered while ploughing in January 1942 by Gordon Butcher, who removed it from the ground with help from Sydney Ford, for whom he was working at the time. They did not recognise the objects for what they were, and the hoard did not come to the attention of the authorities until 1946. An inquest was held in the summer of that year, when the find was legally declared "treasure trove" and acquired by the British Museum in London. Many details of the discovery remained uncertain, not least because it took place in wartime. Academic opinion in the mid-20th century was generally reluctant to believe that such fine-quality Roman silver could possibly have been used in Roman Britain, and so there were many imaginative rumours and even doubts that this was a genuine British find at all. The numerous well documented discoveries of high-quality Roman material in recent decades, including the Hoxne Hoard, have set all such doubts to rest.